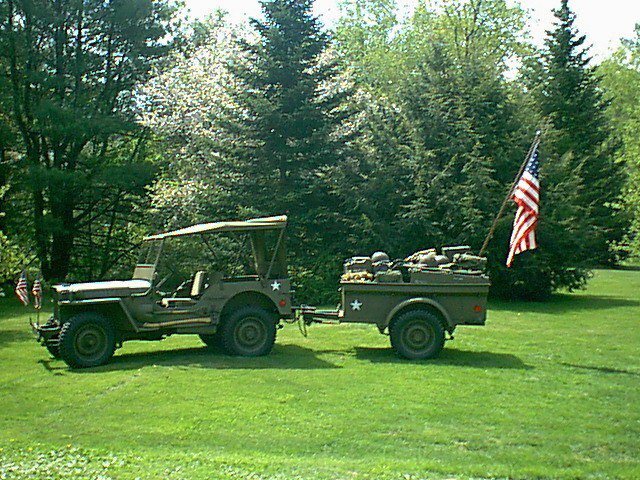 Need a WWII jeep at your event? 1. What vehicles are available? 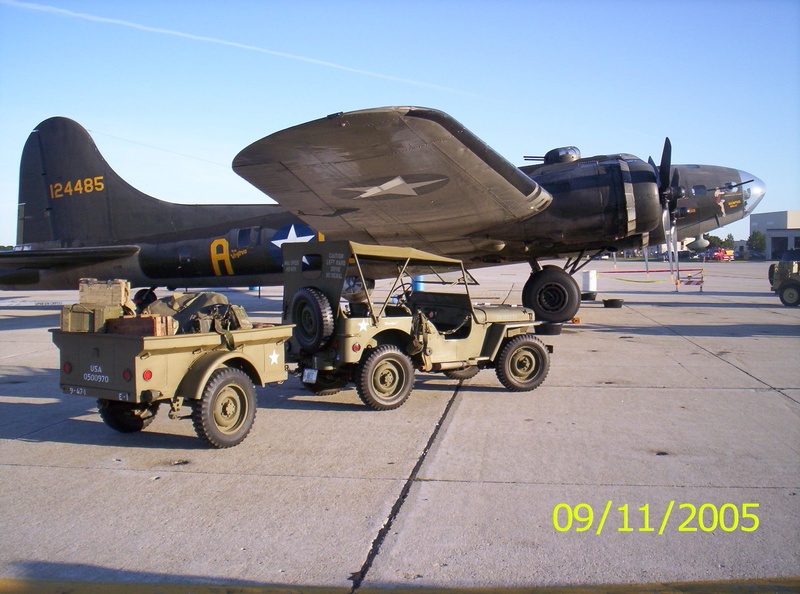 Currently available is the restored WWII jeep "Sweetpea"(GPW 20577), and the restored Bantam trailer full of WWII military gear. 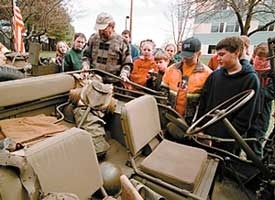 The jeep, trailer and gear all represent a collection that is accurate for a WWII jeep in 1944. Everything is in top condition. Additional WWII jeeps and vehicles are available with sufficient advance notice. 2. What types of events have the jeep and trailer been a part of in the past? 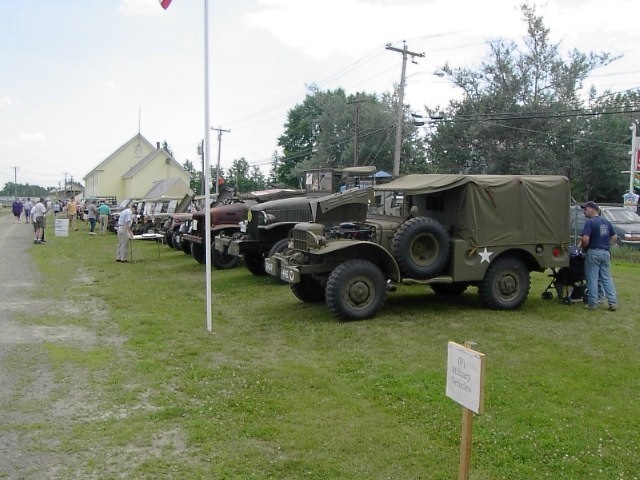 Aside from the usual automotive shows and local parades, the jeep and trailer have been a part of static displays at bookstores, at memorial services and rememberance events (public and private). The jeep and trailer have also been enlisted by private individuals to make veteran's birthdays and anniversaries special. The jeep and trailer have also been featured at corporate employee events as well as educational functions at schools and museums. 3. Where can the jeep and trailer go? Southern Maine and New Hampshire are easily reached. Further travel has been done (as far south as Maryland) but requires extra logistics. 4. Can anyone drive the jeep? No, but the jeep can be used to carry Veterans, etc, a driver is provided. That depends... The jeep and trailer are available at no cost, or for a nominal fee to cover transportation costs (fuel), to Veteran groups, for certain memorial services, for municipal events, schools, etc. For certain commercial uses a contracted fee is negotiated. Private events, for example a Grandfather's birthday party, are also welcome. Fees for private events are negotiable and depend on distance and time involved. 5. 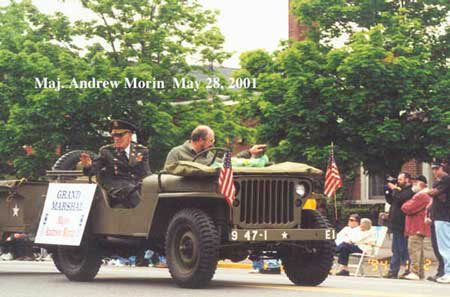 How do I arrange to have a WWII jeep at my event or get more information? It's easy, send me an email at the address below. Remember that advance notice is important to getting on the schedule. The Bantam trailer is currently on loan to a museum and requires extra time to release it from the museum for your event, please plan ahead. Thanks.